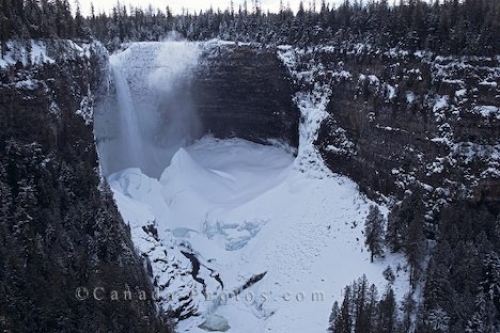 In the winter time, Helmcken Falls in Wells Gray Provincial Park grows a fascinating ice cone shape at the base that continues to build throughout the winter months. If you tour Helmcken Falls at this time of year the winter scene is amazing as sometimes this cone can grow to be seventy meters high. Picture of the snow covered Helmcken Falls in British Columbia, Canada.